You’ll mix your diet coke, brownie mix and chocolate chips in a bowl until combined. Even though the cake box calls for other ingredients, you can ignore those. You will only need 3 ingredients for this recipe. Grab a 9×9 pan and spray with nonstick spray. Then pour the brownie mix into the pan. Into the oven it goes for about 45 minutes, or until a toothpick comes out clean. Allow to cool before cutting into them and serving. I prefer these brownies without frosting because I think they’re fudgy enough, but if you want to add chocolate frosting on top – go for it! And when you mix it all together it’s like a science project but no cool looking since goggles are needed. 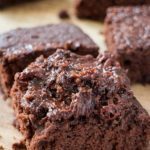 I love how easy these brownies are to make, but I especially love how fudgy and delicious they are to bite into! Also if you want to go super wild, you can turn these into Cherry Diet Coke Chocolate Brownies by adding 1 teaspoon of maraschino cherry juice into the batter. You’ll get a little kick of cherry taste, just like Cherry Coke! I hope you enjoy these Diet Coke brownies! 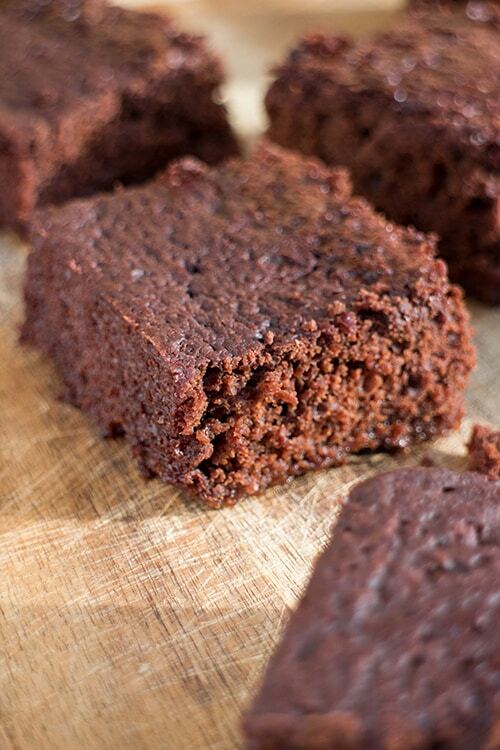 Looking for more brownie recipes? Try my Black Bean Brownies and Single Serve Brownie and Cosmic Brownies. Preheat oven according to brownie box. Mix Diet Coke, brownie mix and chocolate chips in bowl until combined. You don't need all the other ingredients the box calls for such as eggs, oil. Spray a 9x9 pan with nonstick spray. Bake brownies in oven for 40-45 minutes. If you'd like to make these "Cherry" flavored add 1 teaspoon maraschino cherry juice. This is wild! Such a fun recipe and can’t beat the ease. Website looks great, btw! Wow! 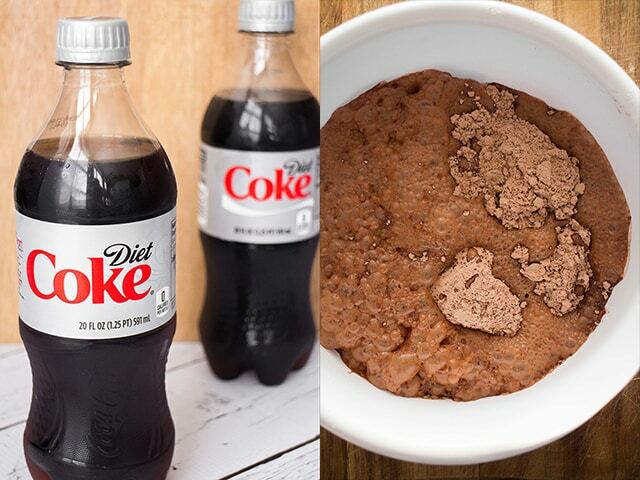 I never knew that you could add diet coke to brownies. Yum! Thanks for sharing. This looks amazing! I am so intrigued.. I really want to try this soon! i have tried this before and works really well – i really enjoyed it too. I might be crazy enough to give this one a go! Totally! I have some orange and root beer soda experiments in my future! I am in awe of your kitchen chemistry! These look amazing! Pinned! Can’t wait to try these…what a perfect easy, last minute idea! How can anyone resist a dessert made with only three ingredients!?! While I’ve never tried this recipe myself, I’m definitely intrigued by the combination of ingredients! This definitely is a life-changing discovery! 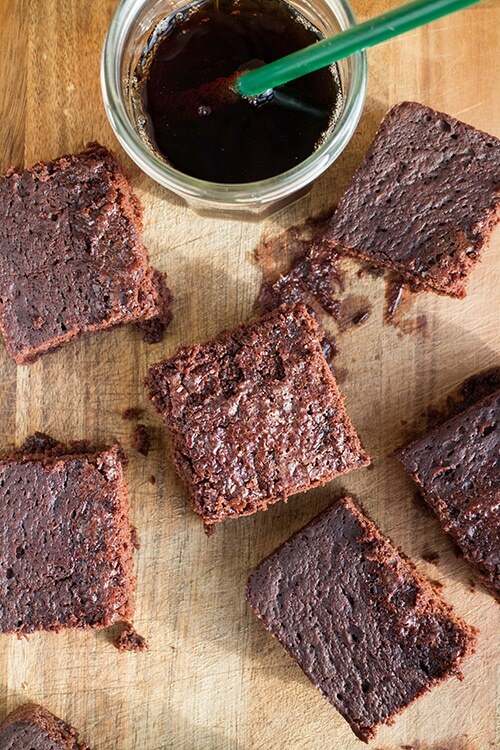 I can’t believe you only need 3 ingredients for these brownies and diet coke is one of them?! 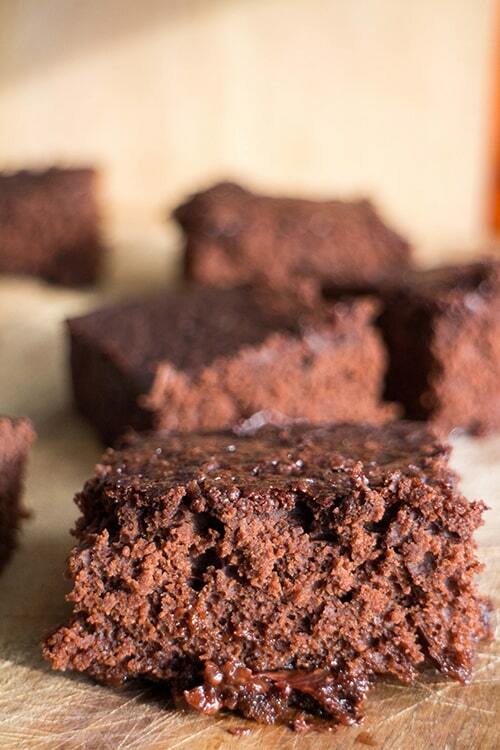 These brownies look sooooo good! 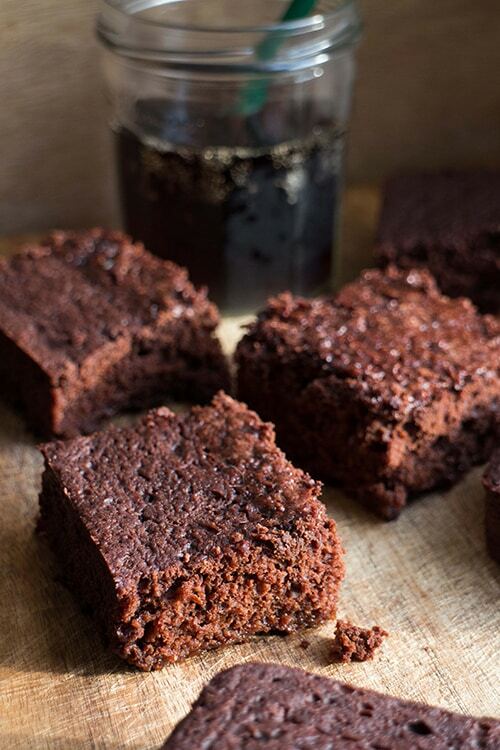 Hehe – Coke Brownies… what? This is incredible! 3 ingredients and this is the magic that happens????????? <3 <3 <3 *-* Whoaaaa!!! I.NEED.THIS.IN.MY.LIFE! I had no idea that you could use coke as the liquid to make brownies. Very interesting! These look fantastic! I love how smart this recipe is! Wow….that must be the easiest recipe I’ve ever seen for brownies! 🙂 I know what I’ll be making if I’m ever feeling super lazy! 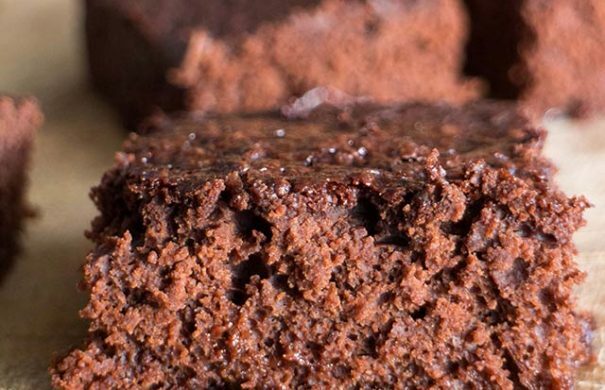 These brownies look awesome – I have had diet soda cake before (diet soda and cake mix mixed together) but it didn’t look as good as these brownies do! Love what you did to your website Pamela, clever recipe! are good. So I think we have a match. Sounds like great recipe for a slumber party. A fuss fuss and delicious sweet recipe! They have turned out moist and very tempting! These look amazing! 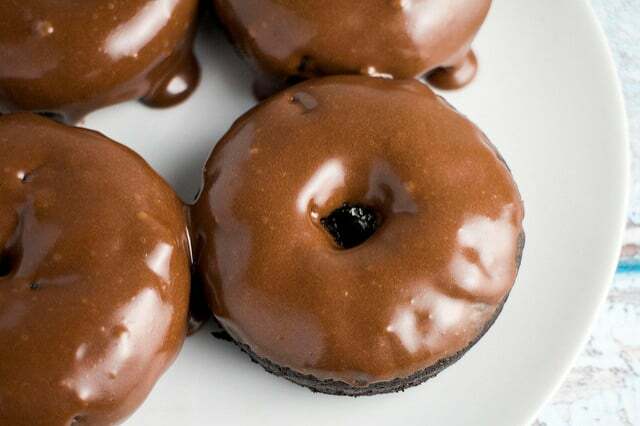 Love how chocolatey and fudgy they are! Such a cool customer with these neat-o brownies! 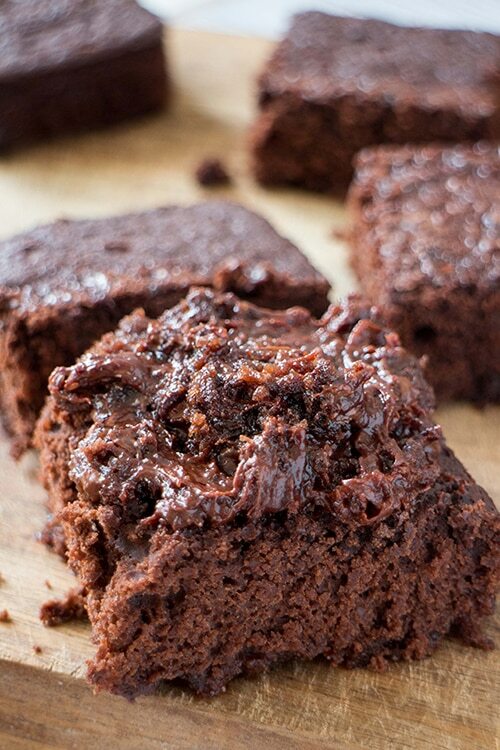 Delicious brownies!I love chocolate flours. Of course, Coke would work fantastic too! Enjoy Prudy!